The blue sky came back again this morning after the typhoon passed by Japan. 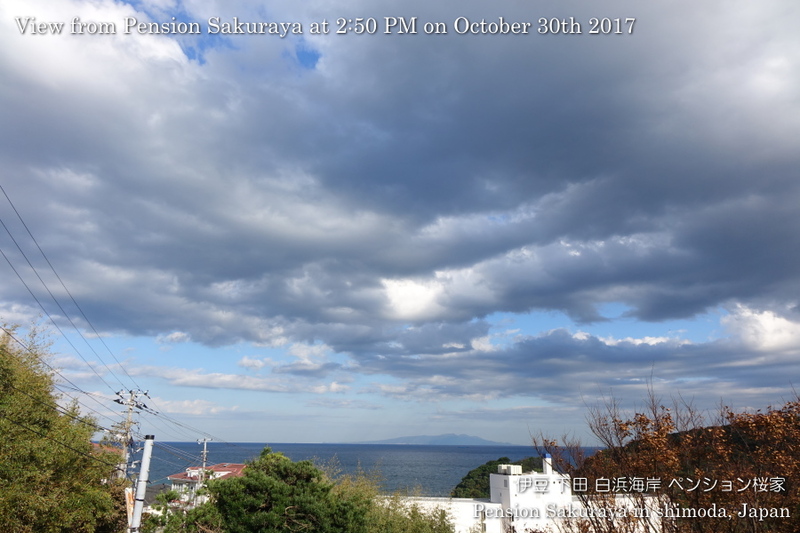 But the sky was covered with some clouds this afternoon. I had been working in our building all day long, so I didn’t go to the beach to take picture today. 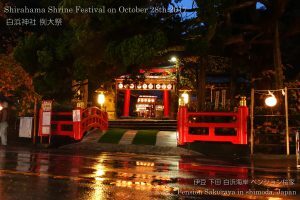 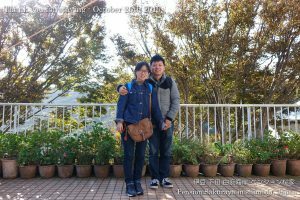 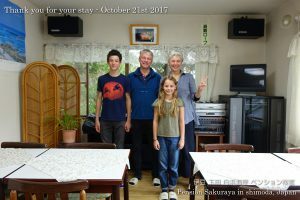 This entry was posted in nature on 2017年10月30日 by izusakuraya. 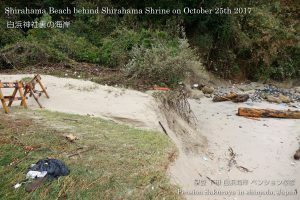 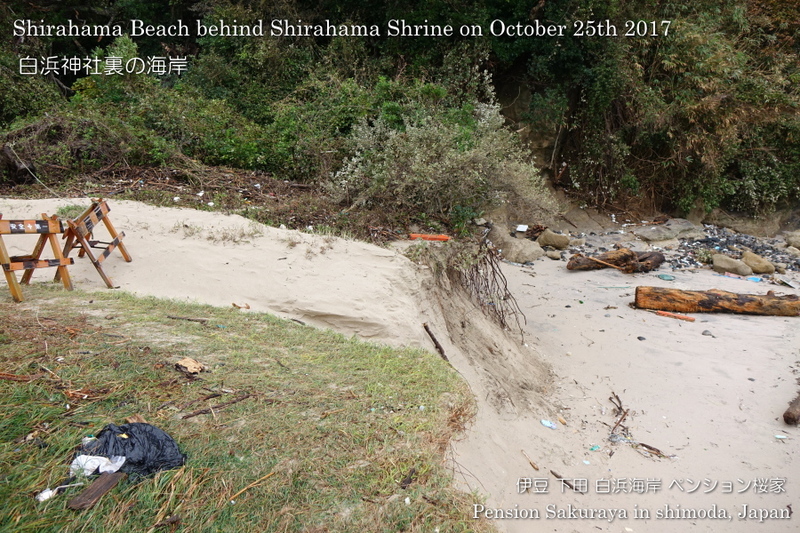 When I went to Shimoda for shopping I went to 2 beaches to check the condition after the typhoon. It was sunny and very hot here in Shimoda today. 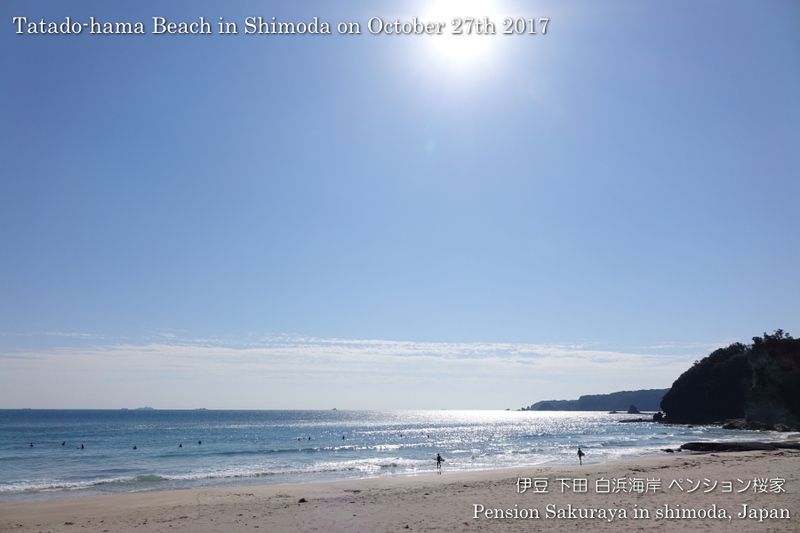 It was very quiet at Tatado-hama beach, we had very strong north wind in Shirahama though. 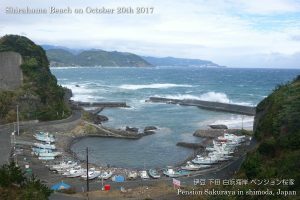 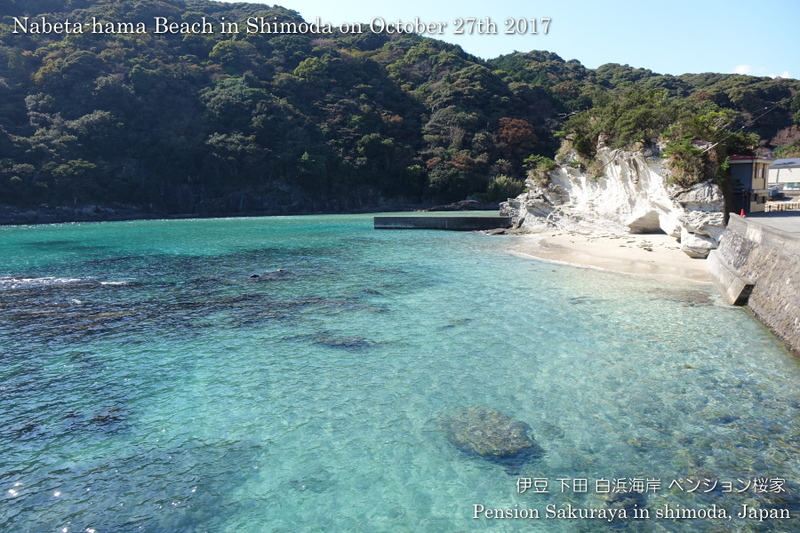 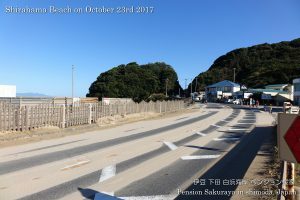 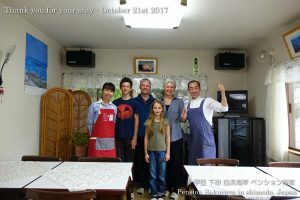 This entry was posted in beach on 2017年10月27日 by izusakuraya. 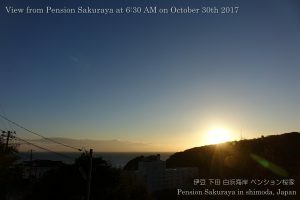 This entry was posted in Customers, Pension Sakuraya on 2017年10月26日 by izusakuraya. 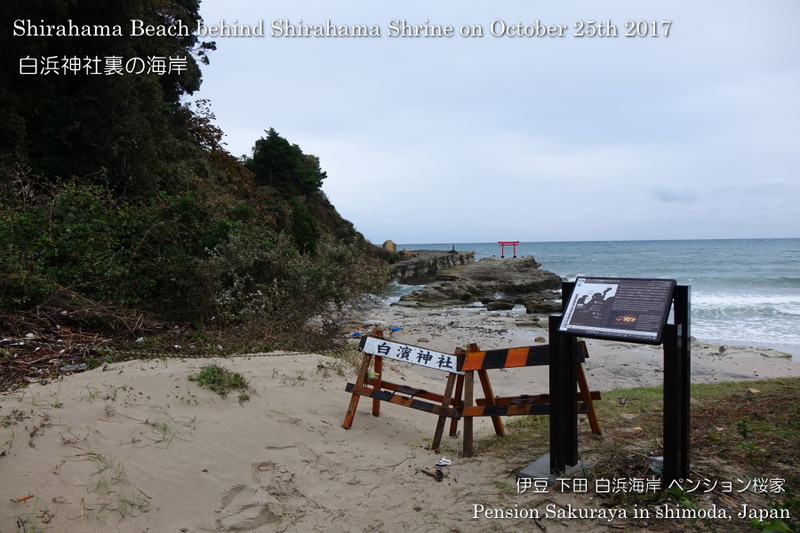 When I went to fish shop next to Shirahama shrine this afternoon I was going to the beach to take pictures. 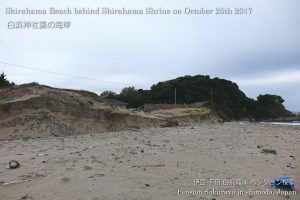 But I was not able to pass through the path because the place was out-of-bounds. 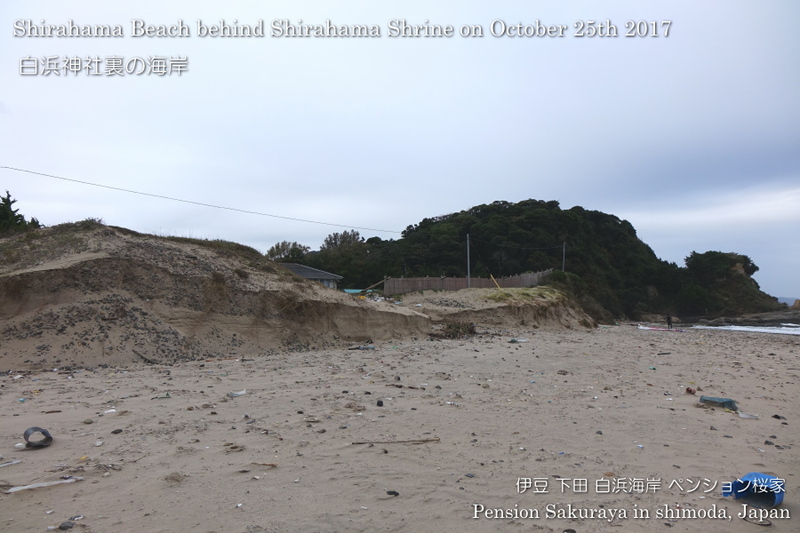 I was surprised to see that a large amount of sand had been taken away by typhoon from the sand slope. 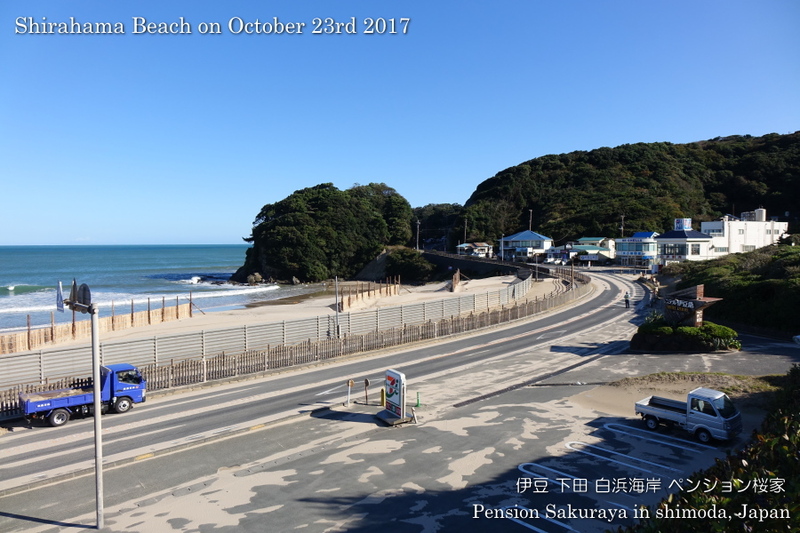 This entry was posted in beach, nature on 2017年10月25日 by izusakuraya. 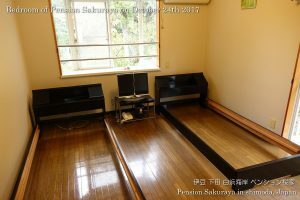 I restarted the cleaning of bedroom after 2 weeks because I had had a pain on my back. This entry was posted in Pension Sakuraya on 2017年10月24日 by izusakuraya. 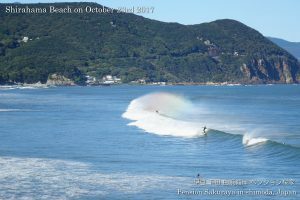 After the typhoon with heavy rain and strong wind ripped though Japan the blue sky came back again. But the seaside road was covered with a lot of sand which the wind carried out of the beach. This entry was posted in beach, nature on 2017年10月23日 by izusakuraya. 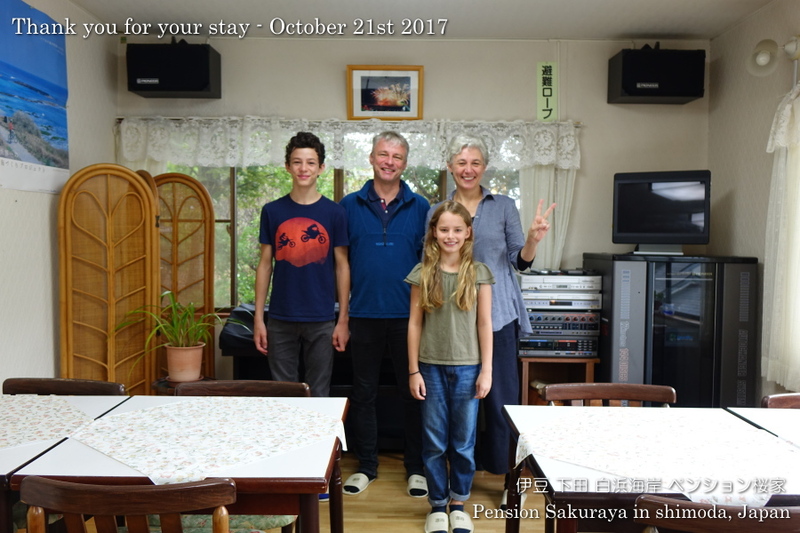 2017/10/21 Thank you for staying with us. This entry was posted in Customers, Pension Sakuraya on 2017年10月21日 by izusakuraya. Today my son had a basketball practice games at a junior high school in Kannami town, so my wife and I went to the school to pick my son up by car driving through Amagi mountain. 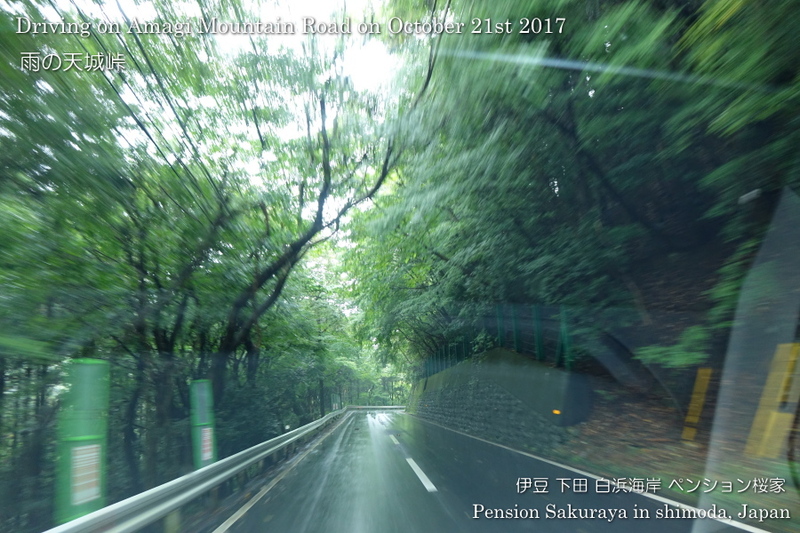 I love driving surrounded the green trees. We had rain all day long today. The weather forecast says we will have heavy rain and strong wind by typhoon tomorrow and the day after tomorrow. 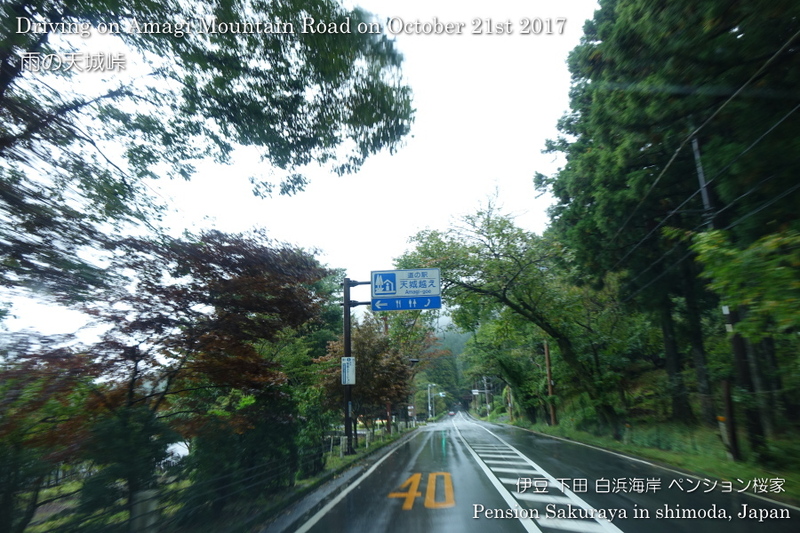 This entry was posted in nature on 2017年10月21日 by izusakuraya. 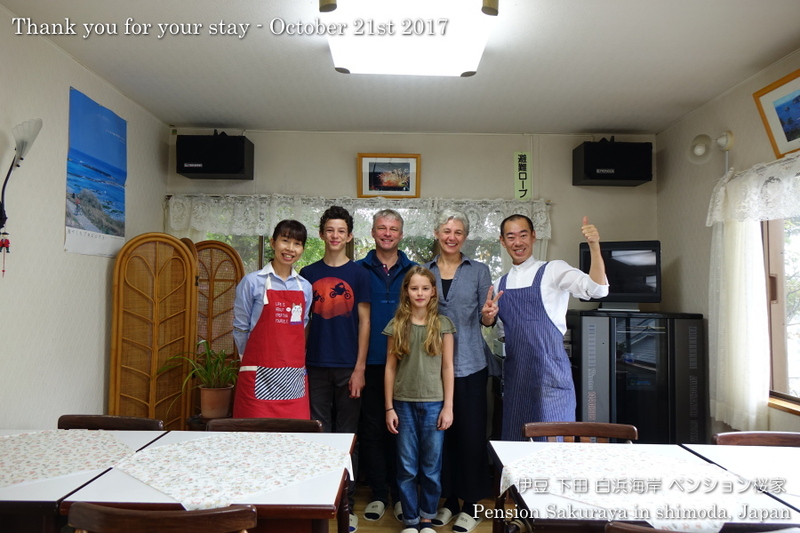 We had been worrying about the weather because we have customers for 2 nights from yesterday. 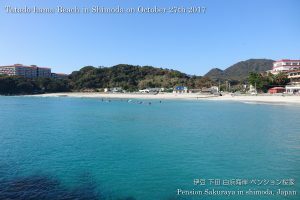 But the blue sky came back and they were able to go to the walking path in Shimoda today. 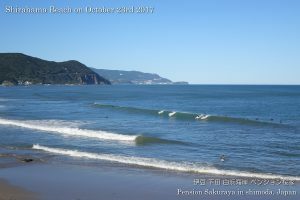 This entry was posted in nature, Sea on 2017年10月20日 by izusakuraya.